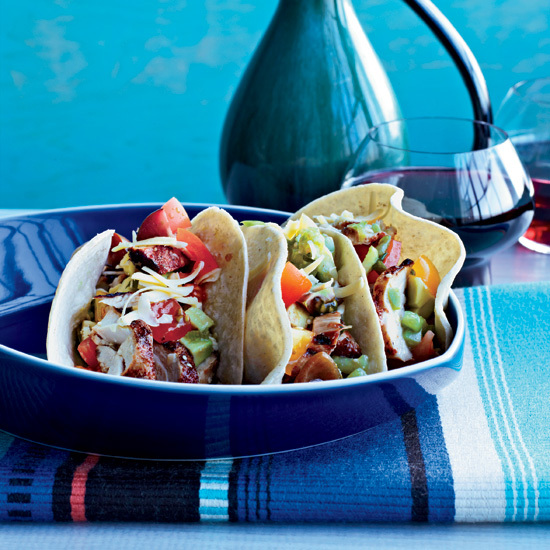 These tried-and-true recipes include grilled-chicken tacos and hot-and-crunchy chicken cones. Thanks to a climate that's both tropical and temperate, Kenya grows an impressive range of produce, including the passion fruit, oranges, limes and delicate greens in this dish. 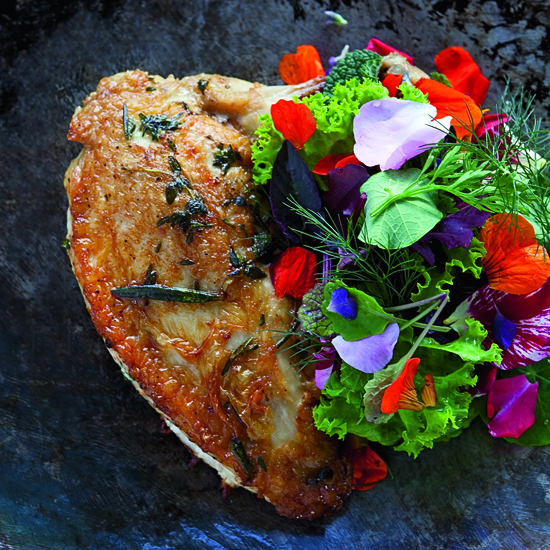 Chef Hubert Des Marais squeezes aromatic wild limes into the tangy marinade; kaffir or key limes can be used instead. He gets his birds from Peter De Mello, a big-game hunter turned organic chicken farmer. 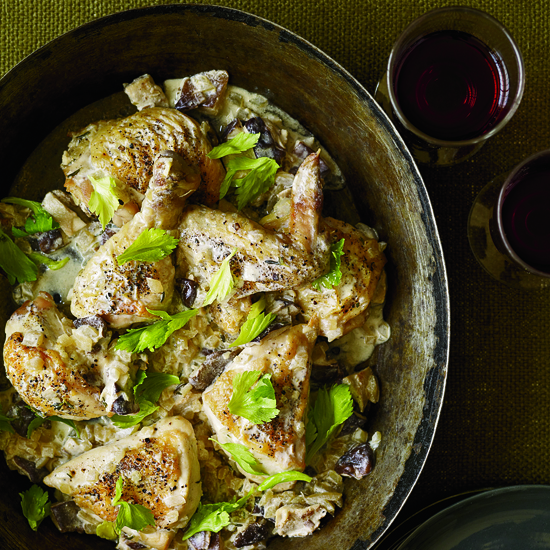 "I love the word fricassee," Andrew Carmellini says. He garnishes his with celery leaves. 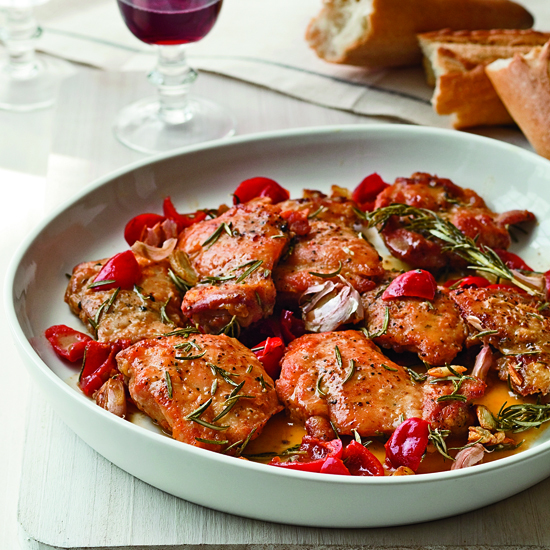 To make her Sunday-supper scarpariello—chicken sautéed in a tangy lemon glaze with bell pepper—Fran Parisi always uses a whole chicken cut into pieces, then cooks it on the stove for hours. 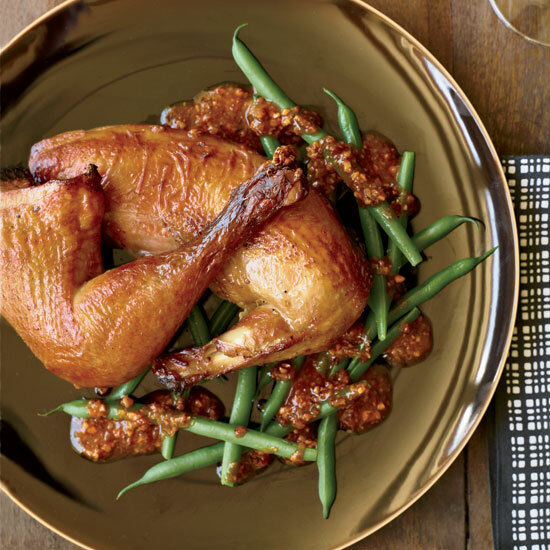 Grace Parisi opts for faster-cooking boneless thighs and skips the bell pepper in favor of jarred Peppadews, sweet-spicy pickled peppers from South Africa, sold in many US supermarkets. "When you have leftover pickle juice, isn't it a waste not to use it to make chicken taste delicious?" asks Frank Falcinelli. He brines chicken breast in dill-pickle juice to flavor it and keep it moist in the oven, then serves it on top of supertender leg meat he's shredded and mixed with sautéed chard. 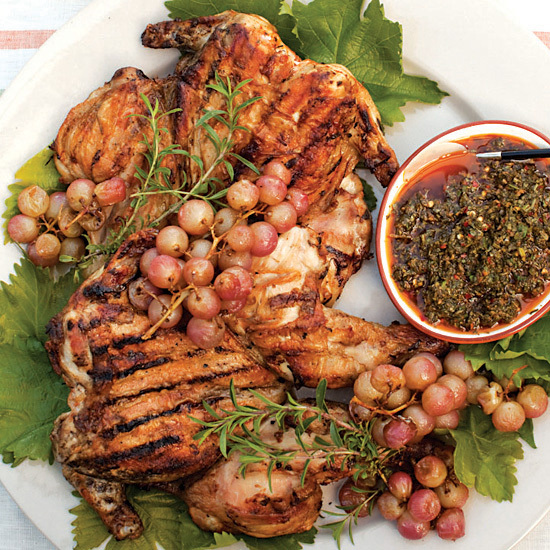 "This recipe looks like a doozy, but it really delivers," says Andrea Reusing. 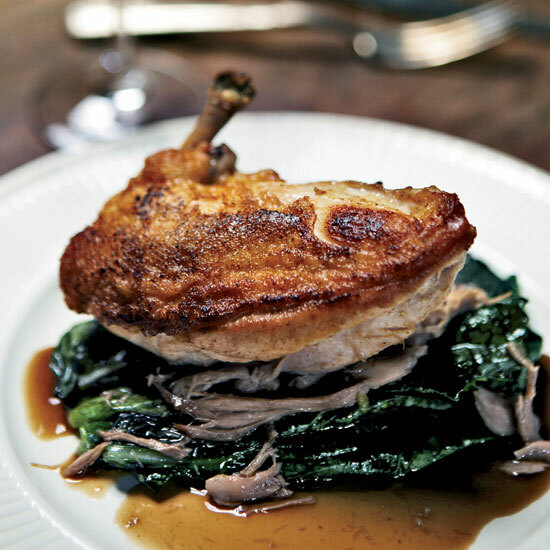 "The chickens are just so reliably juicy, even when they're cooked longer than they should be." Smoking the birds quickly over anise-scented tea makes them wonderfully fragrant. If you prefer to cook one chicken instead of two, smoke it in a wok or a pot rather than a roasting pan. 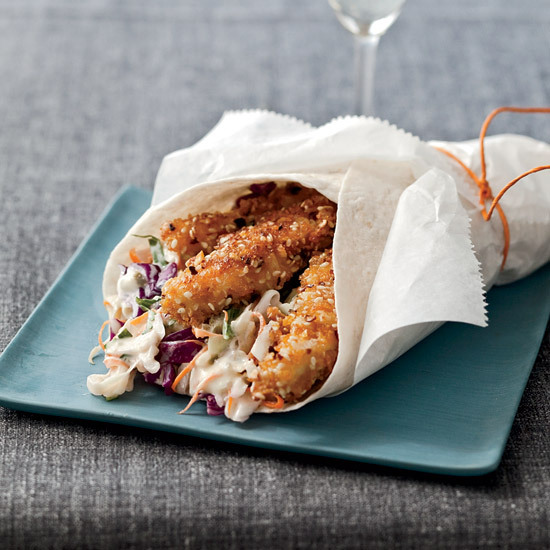 Chef Way Austin's The Mighty Cone food trailer has become famous for its Hot-and-Crunchy Cones: fried chicken coated in an ingenious mix of cornflakes, slivered almonds and sesame seeds, then wrapped in a tortilla with a mango-jalapeño slaw and a spicy ancho "paint." Easy Way Keep the crunch but omit the chile "paint," instead upping the amount of jalapeños in the slaw. Marinating chickens overnight seasons them all the way through; grilling them under a brick makes the skin crisp. 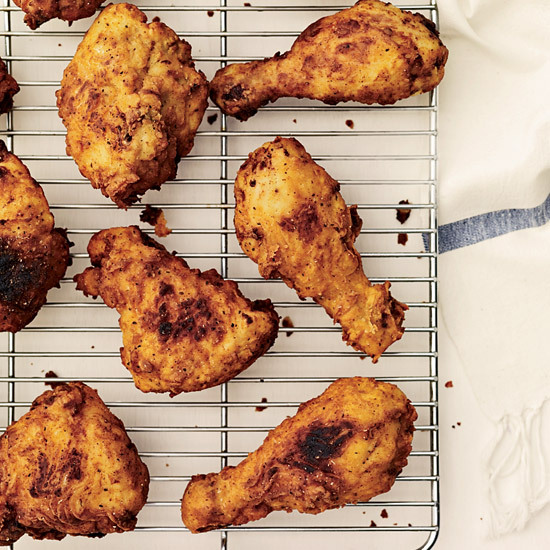 Chefs have become obsessed—obsessed—with fried chicken. F&W's Grace Parisi makes a buttermilk-soaked kind that's great dredged in flour or dipped in a beer batter. At New York City's Dos Toros, brothers Leo and Oliver Kremer offer amazing San Francisco-style tacos, burritos and quesadillas—simple, fresh and sustainable. 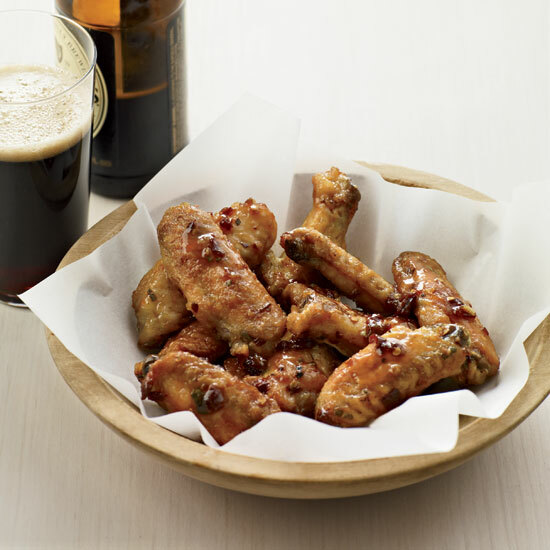 F&W's Grace Parisi makes the best classic buffalo wings (slightly crispy, a bit saucy and very spicy), then creates seven new versions with flavorings like Old Bay or Jamaican jerk.